Is having a home security system worth it the cost? Is it even necessary? What could be the importance of having a security system? These are some of the key questions that could be bobbing in your head while trying to figure out what is necessary for your home and what’s not. Benefits of having home security systems installed. 1.Secure and protect your home. Research shows that a home break in occurs every 14 seconds, 2.3 million homes are broken into annually. But only 16% of homes have a security system! 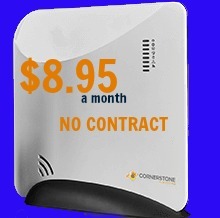 With the cost of monitoring depending on the security system being as low as $8.95 for some companies why wait? 2.You can automate your home. When you start adding home automation devices to your home you are able to monitor things such as lights, thermostats, and security cameras. Making it easier to monitor your home and potentially save you money in the long run. 3.Lower premiums for your home’s insurance. Insurance costs can vary according to location, coverage, type of home and insurance company among other several factors. It is notable that a majority of insurance providers usually offer great discounts to homeowners that have a security system installed in their home. 4.Keeps your home closely Monitored 24/7. Having a home that is monitored 24/7 even when you aren’t there is probably one of the greatest benefits of having a security system. The security system is monitored 24/7 monitoring company, than when an alarm is triggered can have emergency responders dispatched to your home in case of suspicious event. This is the main reason why you need a security system in your home—best for last, huh? So you don’t have to worry while you are away. Thus providing you with a peaceful mind whether you are at home or not. So, with a security system, you can have a peace of mind knowing that your family and home are safeguarded from vandalism, burglary, and trespassers.